There are no words that can describe Andorra. It is simply nature.s best friend and Europe fully agrees with this fact. It is a small country in Europe located among the Pyrenees Mountains. 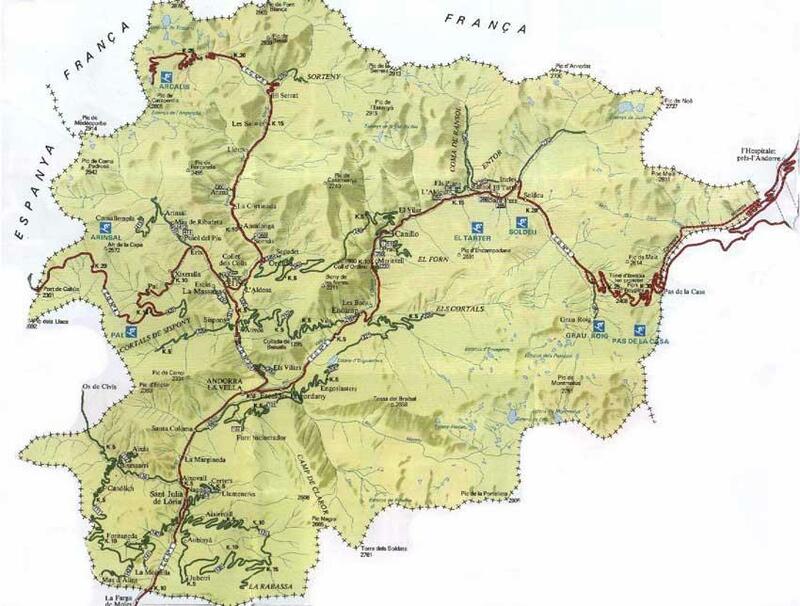 A brief look into the map of Andorra may make you think the small country has nothing to offer. But wait till you get there, then you realize you are literally in paradise on earth. The country’s mountainous terrain is a perfect feature for extreme sport lovers. Before flying off to travel Andorra, take time to find cheap flights and other travel essentials like a good travel insurance policy. Cheap flights are available mostly during winter when tourists are not flying to Andorra in numbers, simply because of the cold weather. Alternatively you can have cheap flights to Andorra during one of the promotional offers that mainly come in festive seasons. As of the travel insurance, confirm with your travel agency and have them advice you on the best travel insurance policies. Andorra experiences wet, damp and cold winters and hot dry summers. It has an estimated population of 83,888 as of 2009.Andorra is the sixth smallest country in Europe and its capital city is known as Andorra La Vella,meaning Andorra of the valley. The main revenue earner of Andorra is the tourism industry which receives more than 10.2 million tourists a year. There are interesting facts about Andorra that attract tourists to the country each year. First, Andorra.s capital, Andorra La Vella,is the highest city in Europe, standing at a remarkable elevation of 1023 meters above the sea level. Also, Andorra has the second highest human life expectancy in the world that is,82 years at birth. Any ski loving tourist will tell you that Andorra is the best place on earth to ski. But there are other tourist attractions in Andorra as well. Eglesia de sant Esteve where you can see the Romanesque style is a must see for any tourist visiting AndorraLa Vella. It is the central place of the city so with a map of Andorra with you or even without,you will easily find the place. The winter festival held every year is another big tourist attraction. There is also the Pic de Coma Pedrosa which is the highest peak of the region and stands at 2942 meters above the sea level. Tourists can also visit museums,theaters,art galleries,parks and zoos where they can have quiet time enjoying themselves. Your travel agency will organize everything for you. This includes a guest house or a motel, most of which are affordable and are located in the outskirts of the city. Check with your agent and confirm if it will cater for any cheap flights back home. This is very important as some agencies sometimes cause tourists inconveniences during departure time. Finally, sum up your stay in Andorra by socializing with the city dwellers. They are friendly people with a warm heart and some form of unexplained passion for their country. Alternatively, you can drive around the city just sightseeing or even visiting gift shops to buy souvenirs. You might even be tempted to stay for more days you had not planned.